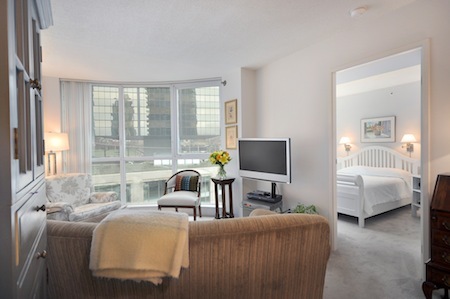 Perfectly situated in Vancouver's downtown, this suite is a short walking distance from the Vancouver Convention Centre, Canada Place, major hotels, downtown shopping and Stanley Park. This compact suite is ideal for a single person or a couple. 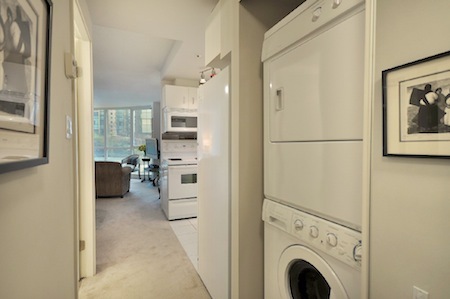 The entrance hallway leads past the enclosed washer-dryer, storage room and bathroom, and enters into an eating area with an adjoining kitchen. The living room with south facing windows gives the whole suite a sunny, bright outlook. Off the living room is a nicely furnished bedroom. Two bicycles are provided and stored in a separate locker off the parkade. The building is concrete and steel construction. 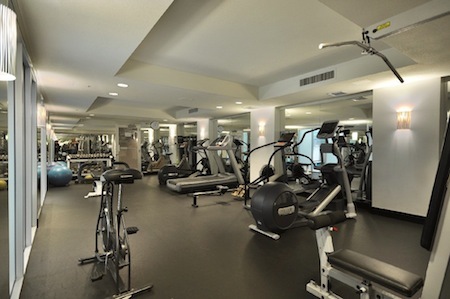 It has good amenities, including an indoor pool with hot tub and a well-equipped fitness room. 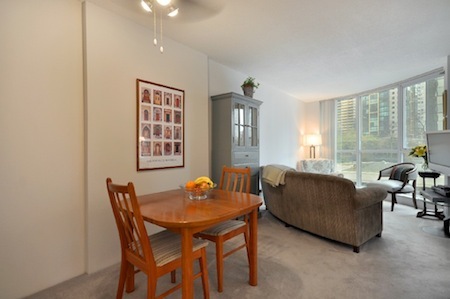 This suite is situated next to the Coal Harbour Marina near the entrance to Stanley Park. A few steps from the building entrance takes you to the Vancouver Harbour sea-wall walkway with its bicycle and pedestrian pathways. Heading west, this walkway leads to the world-famous Stanley Park and the Aquarium to the east, this walkway takes you to the sea-plane base, the Trade and Convention Centre, and the downtown area. On a sunny day, ride your bike on the sea-wall bike path around the seawall to the west, though the Park, under the Lions Gate Bridge, past Siwash Rock, past Lost Lagoon, returning back to your condo in about one hour. This whole trip is on a dedicated bike lane beside the ocean away from all vehicle traffic. A variety of excellent restaurants are within easy walking distance. Carderos Restaurant, a short walk on the sea-wall walkway, offers a medium-priced menu, and is well-known for its salmon-on-a-cedar-plank specialty. Further along is LIFT, a gourmet restaurant offering spectacular luncheon and dinner menus. Many other restaurants, including several in hotels, are located nearby. Because of its central, downtown location, this suite is subject to some traffic noise when the windows are open. A favourite stroll for locals is nearby Denman Street which features a wide array of international restaurants. Also, rental facilities for such recreational activities as roller-blading are available in the neighbourhood. With the rental of this suite come a vehicle parking in a secure, double gated, underground facility, two bicycles with helmets, locks, and safety vests, local and long distance calling throughout Canada and the United States and last but not least television with a wide variety of channels and networks, including movie channels, sports networks and news channels. We had a fabulous stay in Vancouver. The accommodation was great. Thank you Heather for suggesting Coal Harbor and the apartment. 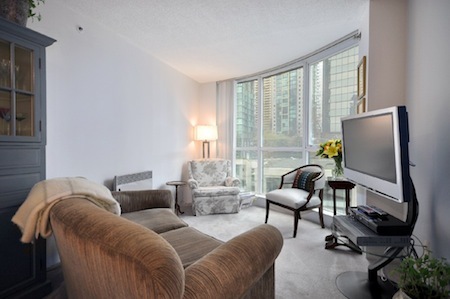 EMR are very professional and helpful, I would not hesitate to recommend your services to friends visiting Vancouver. 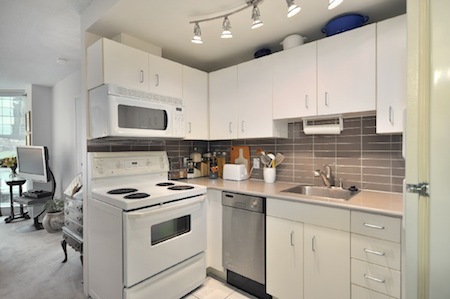 We just want to share how much we loved this condo. It was perfect for our 25th anniversary trip! We especially appreciated the bikes, which are the best extra one could offer in Vancouver. Also, unlike many rentals we have stayed in over the years, this one was equipped as if the owners really lived there, and we had all of those little things provided that make you ready to go from minute one like soap, detergent, coffee filters, salt and pepper, etc. Please share our gratitude with the owners! I'd like to clarify the greeting service rating. Both greeters were polite and competent, but their presence, in our minds, was unnecessary, and constituted an additional expense that we resented, as it was unnecessary. Our greeter didn't do or show us anything we wouldn't have easily figured out on our own. We've used home rental services in other cities before, and never had to contend with a greeter service. Having to phone our greeter upon arrival was unnecessary and complicated, as we hadn't changed money to Canadian yet, and then her phone number didn't even work. Paying a fifty dollar fee to check out early was outrageous, and something we've never had to do anywhere else. While the office staff was extremely professional and helpful, and our condo was clean and comfortable, we walked away feeling that we might not recommend it to friends because of the greeting service. Thank you for your comments as they are very valuable to us. We are glad to hear you enjoyed the property and the experience of booking the Harbourside Park and for the most part it sounds like the greeting personnel were competent and polite. We wish to address the issue of why we need greeters for our property check-in and check-outs. We are not a hotel with all our units in a single building where guests can walk to a check-in desk get the keys and the walk upstairs to their unit. The properties we have are all independent properties that are located in different buildings or houses in various parts of the city. We have to arrange for a greeter to meet our guests to provide keys and access their rentals. 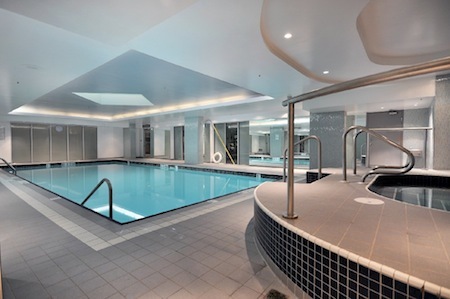 The greeters are to assist with a tour of our properties as well to ensure our guests have been properly given an orientation of the rental and possible additional facilities such as common swimming pools or gyms in condo complexes. In many cases we have international travelers who do not have recycling programs in their communities whereas Vancouver and most of British Columbia communities do and we like to make sure our guests understand where and how the recycling is handled. Sometimes there are complicated media or appliance equipment in the properties that may take a short lesson on how to use it. 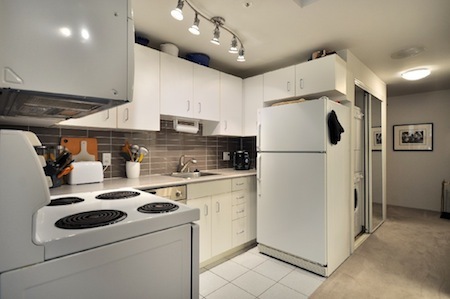 We want to ensure our guests have the best experience possible which means being able to use all the amenities that are included in their rental. The greeters are there to ensure you are happy with your property when you check-in. The greeters are great resources of information for the community you are staying in and can answer questions you may have on things to see and do in the community to where to pick up groceries. For the early check-outs , we call them red eye check-outs, EMR Vacation Rentals has to specially arrange for someone to get up very early in the morning to make sure to be there on time. These are for guests leaving before 7 AM and in most cases the early check-out requests are for 5 AM or 6 AM which means we have to arrange for a greeter to come pick-up the keys at this time. The greeters have to be paid after hours rates to provide this service. The greeters are required to make sure the property has been secured, all the keys collected, and left in good order by our guests. This is to ensure the protection of the property and to help with quickly returning the guests damage deposit. Our guest booking agreements have the check-in time at 4 PM and the check-out time at 11 AM. 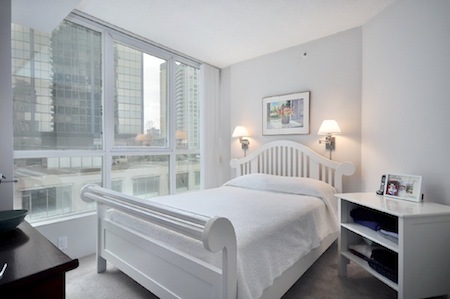 However, EMR Vacation Rentals does provide a wide period of time for guests to check-in and check-out at no cost. It is included with the rental. For check-in time the contract does state 4 PM but we allow for anytime between the hours of 4 PM and 11 PM. EMR Vacation Rentals will allow for an earlier check-in before 4 PM if the property is available and ready for your stay. The contract check-out time is set at 11 AM but EMR Vacation Rentals provides a window from 7 AM to 11 AM at no additional cost for the greeting service. We do try to be as accommodating as possible for our guests. We have had some guests ask if they can leave the keys in the property or if we have a drop box location. The answer is in some cases this can be arranged, however, in most of our condo buildings the guests need the keys to be able to exit the building or secure parking garages. What we have found in the past is guests forget the keys in rental cars or have left the city with the keys still in their possession. The cost to replace these keys are both high and time consuming. With much of our condo building locations there is electronic keys and door FOBS to use and they can be hundreds of dollars to replace. Secondly, in most cases with our rentals we have other guests needing to check-in to the property a guest has just left on the same day. If we are having to track down lost keys or have new ones made up its not as simple has heading down to Home Depot to have keys cut. They have to be specially ordered and this sometimes takes to few days to replace. In some cases where keys have been lost locks have to be changed for security reasons. We try to be as accommodating as possible for our guests. We ask our guests to arrive and depart during our operational hours and stated above. However, if you have to arrive or leave outside of our operational hours we will accommodate your request but to do so please understand there is additional costs to our company that we have no choice to pass on to our guests to have our greeters get up in the middle of the night fulfill your request. EMR Vacation Rentals highly recommends to all our guests to make sure to plan your travel arrangements to arrive or depart during our operational hours for greetings. While the location was excellent, we found that being only at 5th floor, traffic noise was a problem. Air conditioning would be an asset on the warm nights. We enjoyed our stay. 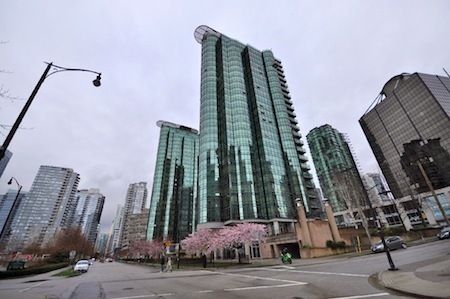 The location is very good being central to many areas in Vancouver. The only comment I have is that the apartment gets very hot in the afternoon when the sun is shining. I realize that's not always a problem in Vancouver, but we did have a few days when it was. I suspect in the middle of the summer it will also be a common problem. Something as simple as a window fan would be a great help. We ran the bathroom exhaust fan with the windows cracked to fix the problem. 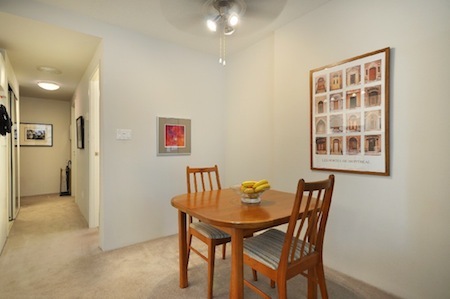 Very stylish condo, great location and even greater value. Our booking was a last minute booking for a 5-night stay and EMR was very prompt and helpful in their response. Compared to the hotel suites we looked at, this is good value for money. Congratulations to the owners for providing such a well-appointed suite! The pros for us were the great location wifi all mod cons in the kitchen, living room, laundry etc. good security use of bikes the pool and free local telephone calls. Permitting us a late check-out was very helpful for the next leg of our trip. The few cons were the vertical blinds did not feel very private and took a bit of adjusting every time they were closed at night or to block the sun. And, although the noise didn't bother us too much as our own apartment has traffic noise, the description of the suite should perhaps state that it is on the 5th floor and near a busy road. Finally, a bike pump and lock with a key! would be very useful. The accommodations were beautifully comfortable. The accommodation was extremely organized and overall much better location than we had envisioned. We didn't even miss the air conditioning. Overall, great stay in Vancouver during Olympics. Location good & close to supermarkets and restaurants. The apartment was very comfortable and clean and had everything we required, although we really did not cook during our stay. We had no problems walking to transport facilities such as skytrain or seabus & buses. Having a car parking space was a benefit as we hired a car for our last 2 days. Your company has been very attentive to all aspects of our booking including any queries we may have needed to clarify. Would recommend your company to our friends. We enjoyed our trip very much, the condo was great, and the amenities were exactly what we needed. Also, please let the owners know that we appreciated the little touches that that left for us such as notes, restaurant recommendations, and how to use the TV! thanks again.